Avail from us the optimum quality Brass CNG Parts, which is made of the best raw material. Know for its strength and high functional life, our Brass CNG Parts are known world wide for their maximum sturdiness. 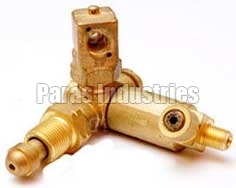 Our Brass CNG Parts has carved a niche in the market due to its quality and cost effective prices.